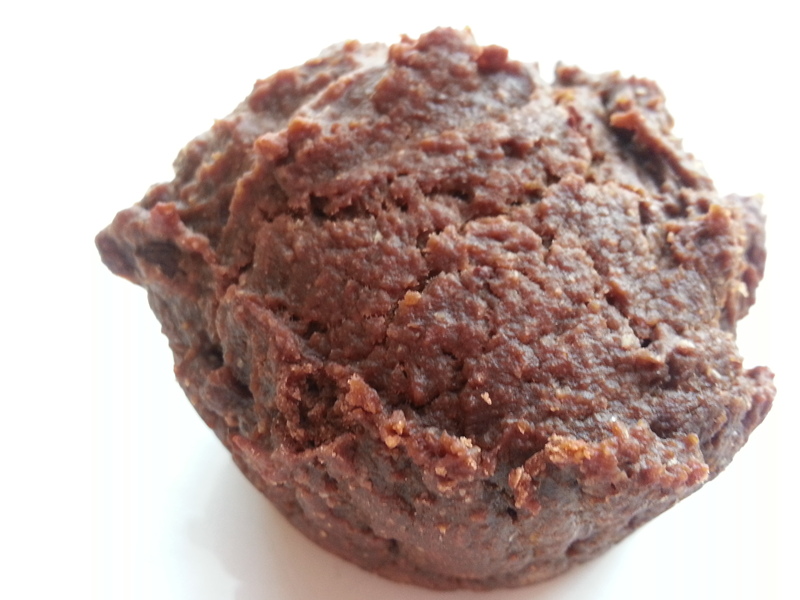 After I posted last week’s Nutella-inspired muffins, a vegan friend asked me for muffins with the flavors of a dark chocolate Reese’s peanut butter cup. I experimented a little and this is what I came up with. I would love to have an even peanutier taste, but these muffins are quite moist and I fear anymore peanut butter would make them dense. I’ve been thinking of ways to work around this, though, so don’t be surprised if another peanut butter muffin recipe finds its way onto this blog in the future. Mix together flour, cocoa, sweetener, and baking powder. Add an optional ½ teaspoon salt if your peanut butter is unsalted. In a separate bowl, dissolve baking soda in hot water, then stir peanut butter until smooth. Next, stir in applesauce until smooth. Mix wet and dry ingredients together. Batter should be a bit lumpy. Stir in chocolate pieces. Do not overmix. Bake at 375 degrees Fahrenheit for 20 minutes, or until tops are firm and inserted toothpick comes out mostly clean. Cool on rack for at least 10 minutes, then serve. Questions and feedback are always welcome. You can leave a comment below or email me at contact@seasonofplenty.com.